The new ZenWatch 3 jettisons the clunky’n’chunky rectangular form of its predecessor to introduce a far more pleasing traditional round number, albeit with over-stylised strap lugs. 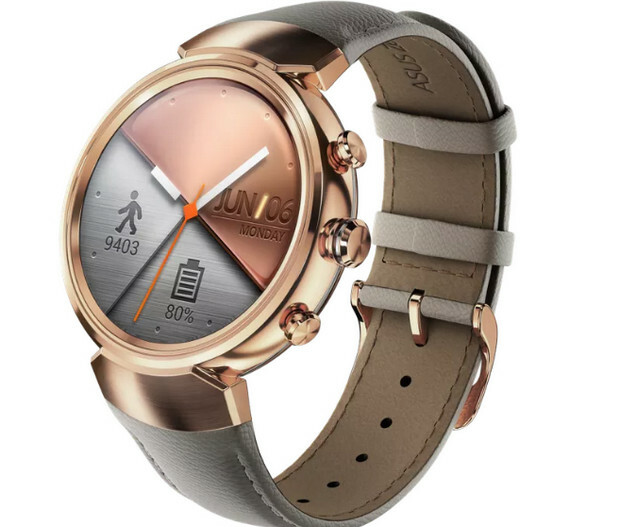 Measuring up at a relatively 9.95mm thick – thinner than the Apple watch – the ZenWatch 3 packs a Qualcomm Snapdragon 2100 processor, a 1.39-inch AMOLED curved screen protected by Gorilla Glass, and a battery life of two days with the ability to charge to 60 percent in a speedy 15 minutes. 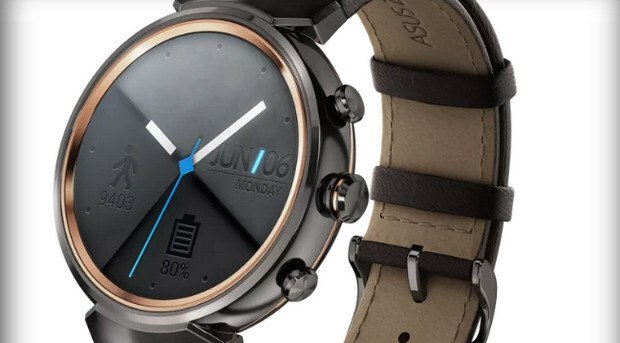 There’s three chronometer style buttons on the watch (we like these); the crown operates as a regular Android Wear controller, while one is customisable and the other launches the Asus ZenFit activity tracking app. 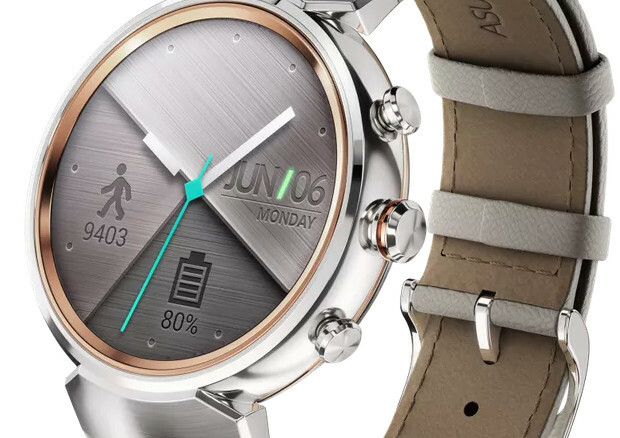 Asus are keen to trumpet the prowess of the watch’s tracker, claiming that it has an “industry-leading 95 percent accuracy” for counting steps. So now you know. The watch comes in gunmetal, silver, or rose gold metal, complemented by with rubber or leather straps, and will be available in the US and Germany in October 2016, priced at €229.